Jon Thompson, Károly Gombos and Zsuzsa Farkasvölgyi-Gombos, eds. Ázsiai nyeregtartók. Dr. Nicolas M. Salgó (Washington, D.C. USA) magángyüjteményéből / Asiatic Saddle-Covers from the Collection of Nicolas M. Salgo. Sárvár, Hungary: Ferenc Nádasdy Museum, 1985. Two Hundred Years of Hungarian Painting from the Private Collection of Ambassador Nicolas M. Salgo. New Brunswick, NJ: American Hungarian Foundation, 1990. 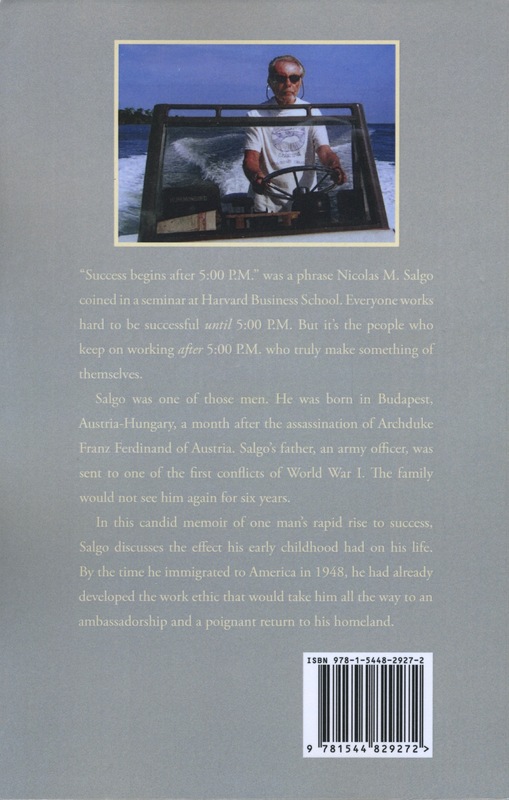 Available from The Salgo Trust for Education. A Legacy Envisioned: A Century of Modern Art to Celebrate Hungary’s 1100 Years 896-1996. Introduction by Stephen Mansbach. Washington, D.C.: The World Bank, 1996. Nicolas M. Salgo and Matthew J. Burns III. 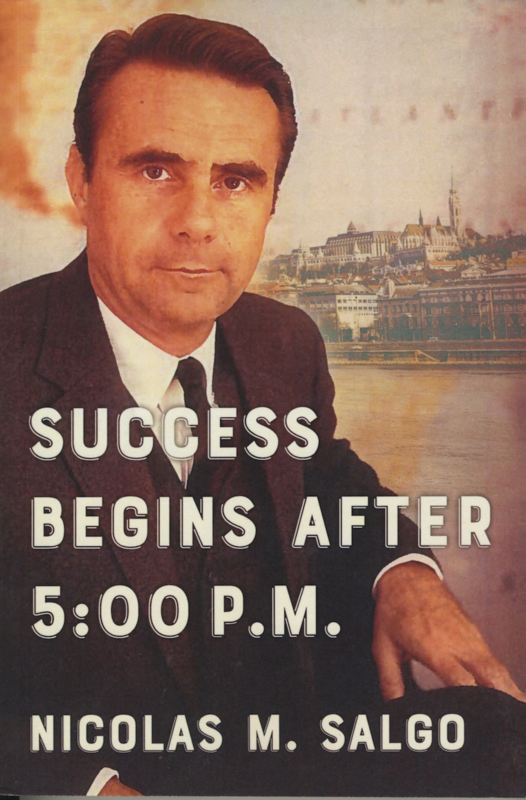 Success Begins After 5:00 P.M.: Nicolas M. Salgo. Victoria Wright, ed. CreateSpace Independent Publishing Platform, 2017. Oliver A. I. Botar. Sensing the Future: Moholy-Nagy, die Medien und die Künste. Zürich: Lars Müller Publishers, 2014. Oliver A. I. Botar. Sensing the Future: Moholy-Nagy, Media and the Arts. Zurich: Lars Müller Publishers, 2014.